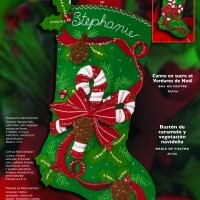 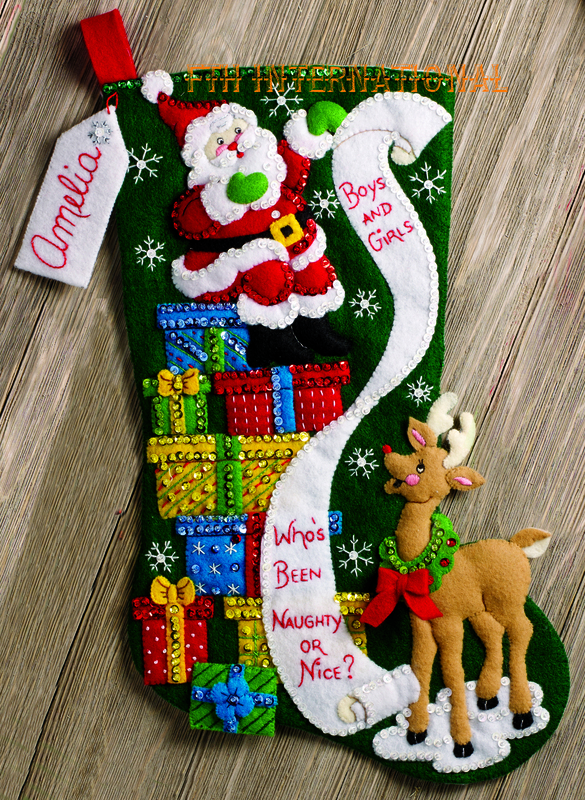 This 150th Anniversary Special Edition 18″ Bucilla Felt Stocking kit features Santa and Rudolph checking a long list of Naughty and Nice to make sure every Boy and Girl will receive the right gift and no one will be left out. The list is so long that Santa is sitting on a small mountain of brightly wrapped gifts checking the first half of the list while Rudolph helps on the bottom half of the list. 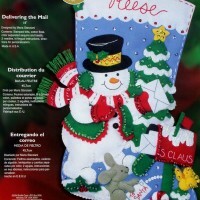 This is one of the few Bucilla designs with a Reindeer that has a red nose so you will know that it is Rudolph. 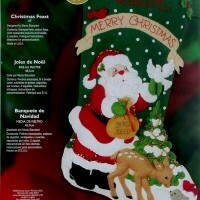 As a special 150th Anniversary bonus you will also receive a matching ornament with Santa holding a bright red and green gift in his hands to hang on your tree or ?.